We have covered many interesting use cases of applied blockchain technologies, but Nucleus Vision could be the most interesting so far. In fact, Nucleus Vision already has deployed its technology in 10 retail stores. With the Nucleus Vision technology, retailers are able to learn about individual customer preferences and provide visitors with personalized offers and experiences. Once activated and authorized by the customer, Nucleus Vision technology is able to detect the customer’s phone number, which retailer can then use to find other customer data, such as past purchases, typical basket size, number of loyalty points and loyalty redemption status in their CRM database or loyalty program database. Blockchain layer plays a critical role in secure data sharing with customer authorization. Nucleus Vision was founded in 2014 at Harvard University, it is an IoT (Internet of Things) and Blockchain based, contactless identification system, using nCash cryptocurrency to enable transactions across retail ecosystem. Nucleus Vision is an end-to-end technology solution that captures and provides previously un-accessed data to retailers and other ‘brick and mortar’ businesses through its proprietary blockchain and real time sensor technology. Nucleus Vision currently has 19 ‘ION sensors’ deployed in 10 live retail establishments, supporting a valuable data network for unique visitor IDs and corresponding user data. Their proprietary IoT sensor technology doesn’t depend on any RFID, WiFi Bluetooth, or even facial recognition technologies to operate. 🏆Everybody is talking about FOMO – but what does that mean? See here to find out. The long term aim of the team behind Nucleus Vision is to bridge the gap between the online and offline retail world. The project is backed by several prominent investors including Tim Draper, Reliance Capital and more. Telecommunications plays a vital role in the functioning of this technology, and they have partnered with Vodafone, Reliance Communications and Idea Cellular to bring platform to market. If the Retailer has no previous shopping history on this customer, the Retailer’s system automatically requests for data from Nucleus Vision’s extended partner ecosystem, which is sent to other retailers and participants in the network. An incentive dominated in nCash is provided for the network participants that share information. Customer authorizes the request and receives nCash as incentive for authorizing and will receive a portion of the nCash transferred each time their data is exchanged on the Nucleus Vision retail network. The frequency of this authorization is controlled by the customers. If the customer authorizes the data sharing, the blockchain enriches the respective parameter values to retailer’s smart Nucleus Vision intelligence system. Based on the customer’s data, a unique score is generated by Nucleus Vision’s Neuron technology. This score represents the customer’s value to the retailer based on his or her purchase history, spending habits and other factors. The nCash token is the native cryptocurrency of Nucleus Vision ecosystem. The nature of the transactions varies from reward points to pure play currency as information is exchanged between players in the ecosystem. 🏆This is our comparison of ethereum vs bitcoin. nCash is a non-mineable cryptocurrency with a supply cap of 10 billion tokens and is based on the Ethereum blockchain. – Data Providers to Retailers; The retailer will pay the data provider with nCash tokens each time they request and obtain data over the NUCLEUS platform. Each time a user’s data is purchased or exchanged on the NUCLEUS platform, nCash tokens are exchanged, and a portion of the fee goes directly into the consumer’s wallet in the form of nCash tokens for authorizing the exchange of their data. – Retailers to Customers; Customers also earn nCash tokens each time they walk into a NUCLEUS-powered retail store. Retailers can incentivize users to visit their stores more frequently, drive up in-store purchases and increase brand loyalty. – Loyalty and Rewards Program; Brands have the ability to run a more cost-effective, simple and secure way to run their loyalty programs with better visibility and transparency over points issuance and redemption. NUCLEUS’s Universal Loyalty Program enables the universality and seamlessness of loyalty reward systems across stores using the nCash cryptocurrency token. According to CoinMarketCap, current price of nCash is $0.006644 with the market capitalization of above $28 million and daily trading volume above $2 million. Current circulating supply is 3,991,517,436 nCash with total supply of 10 billion nCash. One of the important and complex questions when exchanging data between customers and providers is the privacy and compliance. Nucleus Vision has adopted explicit and permission based onboarding. Before any data is exchanged, customer gives explicit consent to sign up. Customer can send his authorization via SMS to his telecom service provider or give consent via third party app or a bank by accepting terms and conditions. After the customer’s consent, he or she is required to download Nucleus Vision app to fully control and view data transaction flow and their nCash. The team consists of 40 members which includes 9 blockchain developers, 5 data scientists, 1 IoT platform architect, 5 marketing experts, 9 engineers and 11 operations professionals. Abhishek, a serial entrepreneur, conceptualized NUCLEUS while studying at Harvard Business School, and dropped out in 2013 to work on bringing his vision to life. Prior to NUCLEUS, Abhishek ran LorvenSoft Tech, a software services company providing digital technology solutions to a global suite of clients across the U.S., Canada and India. 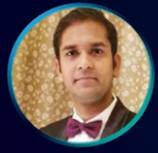 Abhishek has also worked as an Aeronautical Engineer for Gulfstream, a subsidiary of General Dynamics, where he first gained exposure to advanced sensor technology as he worked on next generation of private and military jets. In his decade-long professional career, Abhishek has also worked at Blackstone Group, the world’s largest private equity fund with over $350 billion worth of assets under management. Martin Dudley is one of the most prominent names in the U.S. retail industry. Having built his career at Levi Strauss, where he headed Sales & Marketing for over 15 years, Martin instantly connected with Company’s vision and joined the team to head marketing and business development. 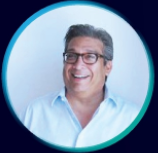 Additionally, Martin also oversees all retail partnerships; using his network and industry reputation, has gotten Nucleus Vision in front of all Fortune 100 retail brands to convince them to buy into Nucleus’s product offering and vision. Martin also oversees all digital marketing and branding efforts at Nucleus. 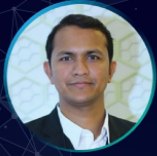 Prior to joining his brother Abhishek on the Nucleus journey, Avinash spent over 14 years developing technology solutions across SAP, machine learning, artificial intelligence, and IoT for a wide range of global Fortune 500 companies such as Siemens, BP, Philips and Bank of America. Avinash holds a Masters degree in Computer Science from the University of Illinois, and together with Abhishek built a multi-million dollar software services organization with operations spanning across the U.S., Canada and India. At Nucleus, Avinash heads the technology and blockchain development efforts, along with his talented team of 22 engineers. Brooks Atwood, an architect from the prestigious Columbia University, has perhaps the most interesting work experience of anyone in the entire Nucleus team. 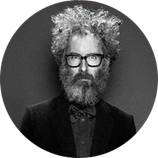 From a Professor of Product Design, Design Director for a live music events company, and a TED talks speaker to hosting a TV show on the FYI network, Brooks has had a very diverse range of professional experiences throughout his career. Avinash and Brooks share their undergraduate alma mater, and all of his experiences seemed to fit perfectly into what Nucleus needed. Given Nucleus’s focus on brick-and-mortar retail stores, Brooks’ architectural background and deep design insights sparked his interest in Nucleus Vision, and he joined them to transform Nucleus into a reality. Today, he is in charge of all things design at Nucleus. 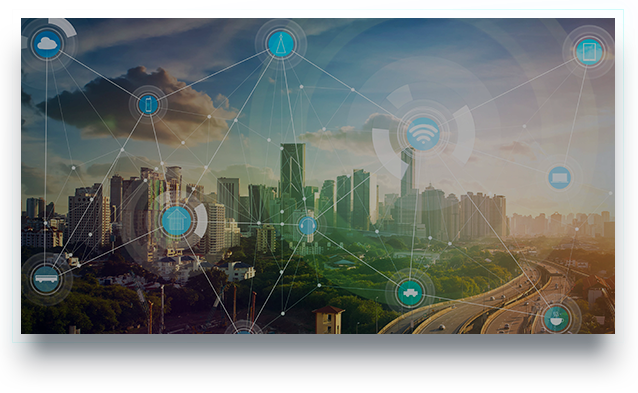 Nucleus Vision has partnered with some prominent companies such as Vodafone, Idea, and Reliance Communications in the area of telecom and Intel, Radisys, Wavenet Solutions in the technology area. Nucleus Vision is here to stay. The have already applied their technology inside 10 retail stores, with ION sensor identifying more than 75 thousand unique customers, achieved 2406 authorizations and making 1833 offers to customers. Retail Sector is just Stage one for Nucleus Vision. In Stage two they plan to enter Physical Security domain. Their smart IoT sensors can be used for identifying potential threats and intruders and securely transmit this data to authorities over blockchain network. By using secure blockchain-based identification system, any unwanted or dangerous individuals in and around secure areas can be instantly flagged and brought to the attention of the security officers for any relevant preventive measures. In Stage three, after revolutionizing retail and security sectors, they plan to connect world through an ecosystem of interconnected IoT devices. They have already started assembling the framework for Nucleus Vision Home, Nucleus Vision Cars, Nucleus Vision Health, Nucleus Vision Agri, Nucleus Vision City and Nucleus Vision Air. They believe that the Nucleus Vision platform has massive applications for smart communities, smart cities, agriculture, transportation, healthcare and home monitoring.